Creative Lenten Worship is a blog with creative worship ideas for the Lenten season, Holy Week, and Easter for pastors, worship leaders and creative arts teams. There are ideas for decorating your altar space for worship (with photos), as well as a reading for four voices for communion. There are also ideas for visual reminders such as Lenten nail pocket reminders and bags with thirty pieces of silver for family devotions. Instructions included for everything offered. But today’s post comes with two caveats: the blog hasn’t had any new posts since 2011, and there isn’t a huge amount of content. However, the content there is good and offers creative ideas for those who help with worship planning for the Lenten season. So with those caveats, head on over and check it out! What is Create-A-Day? Just as One-A-Day® Vitamins help restore the nutrients we deplete in our bodies, so too do we need to refill, replenish and renew our creative souls. 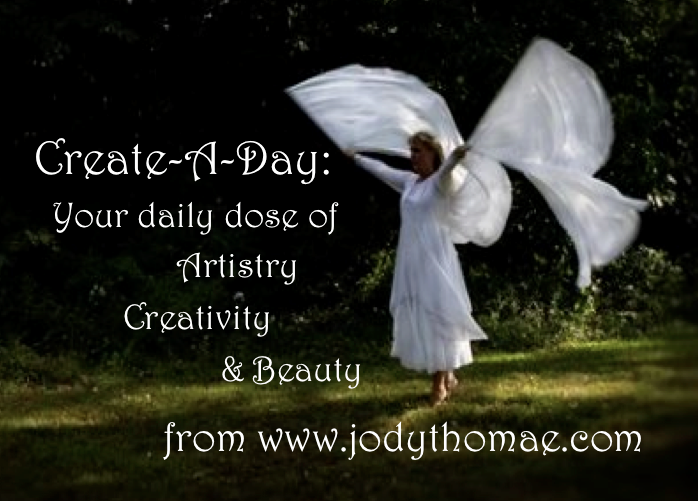 Create-A-Day is your daily* dose of creativity: providing posts to undergird your ministry; lead you to resources to nurture the creative spirit within; and draw you more deeply into your worship of Jesus Christ. In 2015, my goal is to connect you to over 250* resources to help you develop your ARTistry, CREATivity & capacity for BEaUty—posts geared towards artists, creatives, worshipers and people serving in worship and creative arts ministries. So, visit my blog daily* to see what creative resource or inspiration I’ve hunted down for you. You can stay connected by following me on Twitter or Facebook or sign up to receive email updates by clicking the button to the left. Her passion is for the revelation of God to be made more real through the prophetic use of the arts in church and formational ministry. Life scriptures include Psalm 27; Isaiah 50:4-7; and Zephaniah 3:14-17.